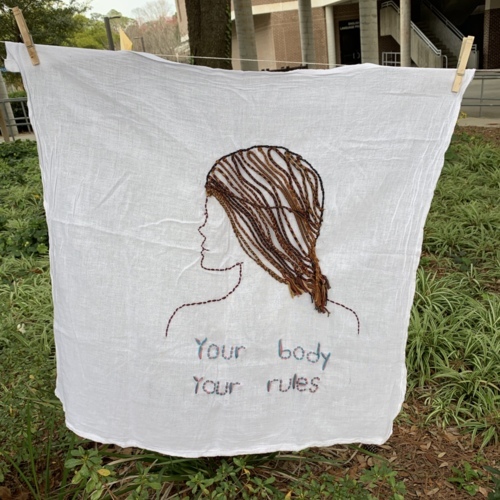 Image Description: A woman with her back turned is embroidered with prominent brown braids. 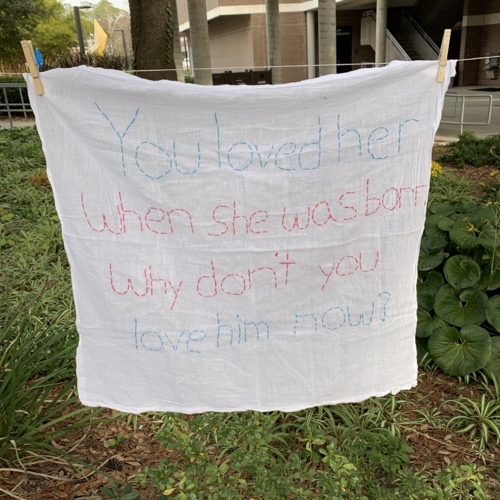 Why don't you love him now?" 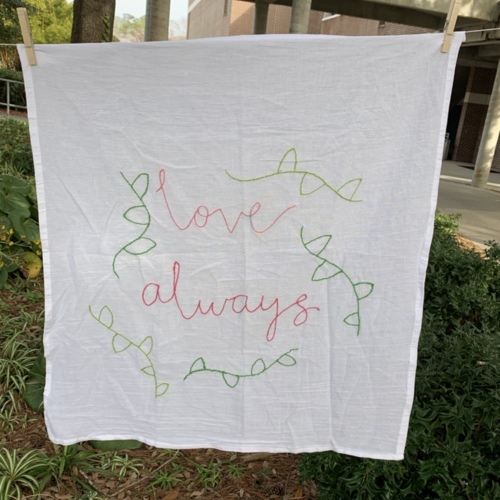 Image Description: The phrase above is embroidered with each line of the phrase being a different color. 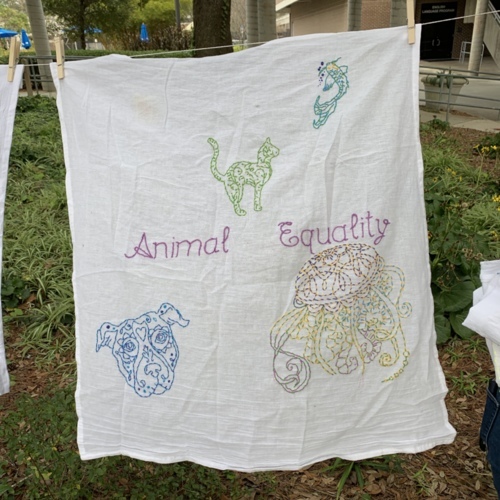 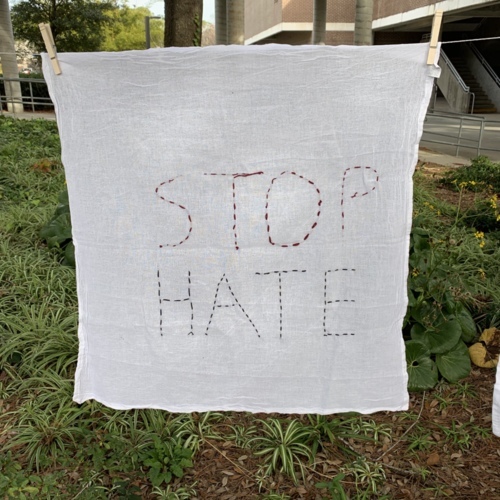 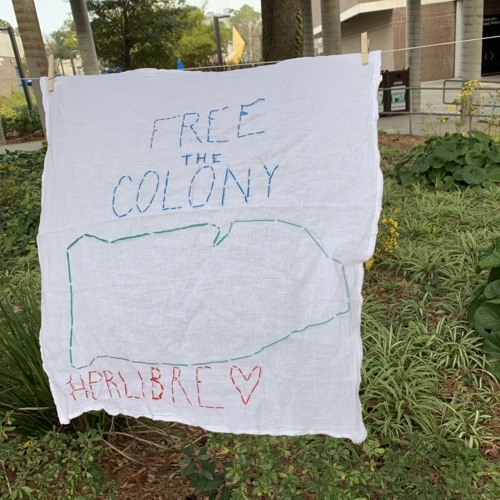 Image Description: The phrase "Stop Hate" is embroidered in large text. 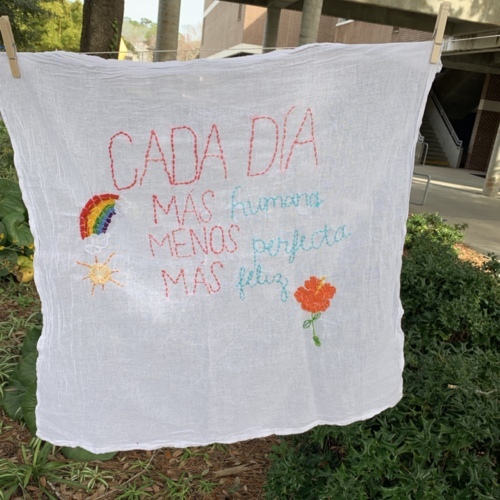 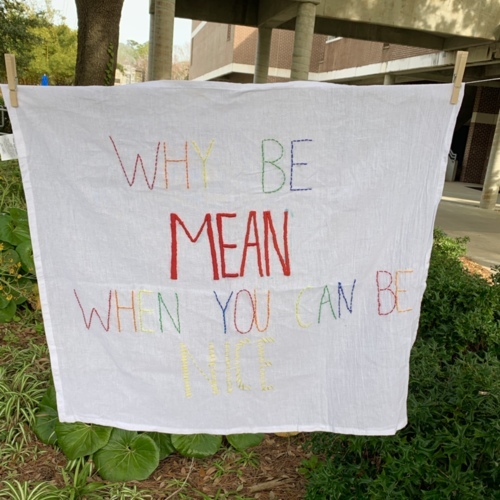 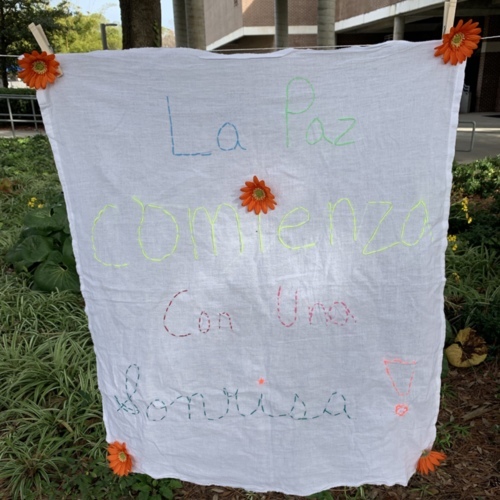 "Why be mean when you can be nice"
Image Description: The message above is embroidered in several different colors with an emphasis on the word mean: being a bright red color. 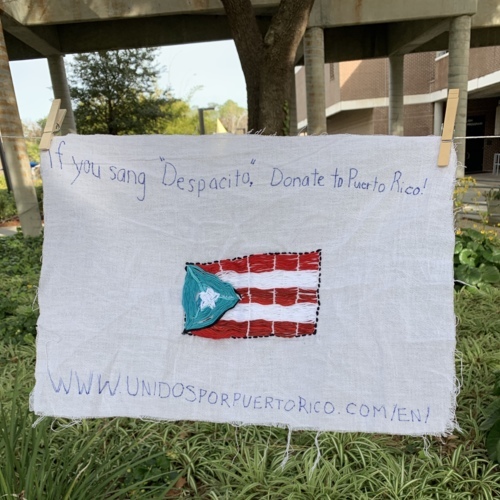 Reads "If you sang 'Despacito' donate to Puerto Rico!"